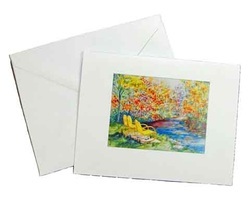 Small reproductions of Original Artwork on quality card stock with a crisp white envelope. Cards are blank inside. Closed cards measure 5.5" x 4.25". Watermark will not appear on your cards. Art Note Cards are the perfect personal stationery and a very thoughtful gift. 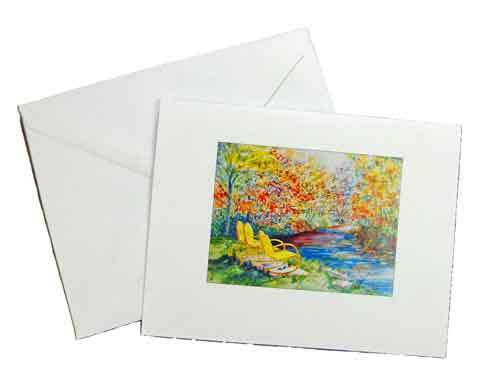 The cards are light-fast and will not fade, making them suitable for framing. Order several to have on hand! Click on a note card to view a larger image.